Beatrice and Axl set out to visit their son in a neighbouring village. The way to the village is dangerous as it is filled with ogres, bandits and other foul creatures. They spend a night in a Saxon village which is on guard as some villagers have just been attacked by ogres. When they are leaving, they’re asked to take a young boy, Edwin, with them as he has been bitten by a strange creature and the villagers banish him. A warrior, Wistan, also follows them to ensure that they will be safe. Axl has lately been concerned about that they seem to have forgotten most of their lives. Whilst they are travelling he learns that the memory losses are caused by the shedragon’s breath which is also the reason for the misty valleys. He also learns that both Wistan and Lord Gawain, who they also meet, have been given the roles as dragonslayers. And after a lot of twists and turns, Beatrice and Axl find themselves at the dragon’s lair. The book is certainly different from what I have been reading lately, and it’s refreshing. It has the perfect amount of fantasy for me, which means just a dash, and I love books about travelling. 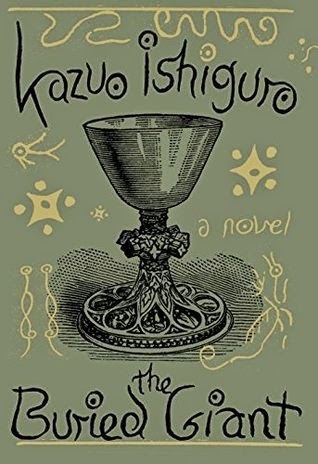 It was certainly an unexpected book from Ishiguro. I’m also curious about whether it will be nominated to any prizes this year. I certainly hope so, but I know that there are many books coming out this year by excellent authors like Margaret Atwood, Jonathan Franzen, Louis de Bernières and more, so it will be a tough competition. Christopher grew up in the International Settlement in Shanghai in the 1910s. His father suddenly disappears one day, and not long after, his mother also disappears, leaving Christopher as an orphan. He is shipped off to England where he eventually becomes a famous detective. 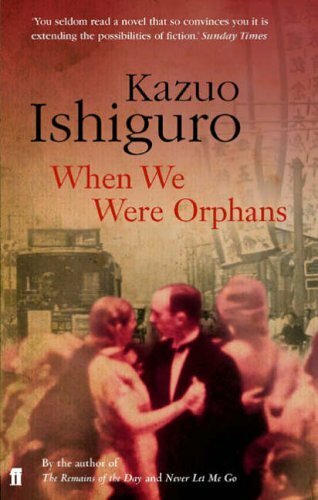 He goes back to Shanghai on the brink of the Japanese invasion in 1937 to solve the case of his missing parents. After spent weeks reading crime novels, I wanted to read something entirely different. My sister had disorganised my bookshelf at home completely, so the only book I could find that I hadn’t read yet, was this. I sighed when I read the back cover, but decided to give it a try on the airport. And I’m glad I did. It is not a crime novel, more like figuring out the past. It took me a while before I got into the story, but then I really did. And although the story never amazed me, it’s been haunting me all day. I can’t really put my finger on why, though. Maybe it is the lost opportunities of love, or the sadness of the orphans, both Christopher and Jennifer, the orphaned girl he takes care of. It was great to revisit the setting of Shanghai during the Japanese invasion, having previously done so in Empire of the Sun by J.G. Ballard. I definitely want to read more novels set in this time, so if you know any, let me know.